Commenter Cursed Frogurt demonstrates the perils of playing a game without reading / having access to the instruction booklet, making Dead Space just a little more deadlier in the process. Have you ever accidentally created your own difficulty level in a game? Perhaps in a way that dramatically changed the way the game felt? I remember running out of ammo after almost every encounter, running from many enemies, and usually being on the brink of death. I was wondering why so many reviewers were saying the game was more action than horror and it occurred to me, all it takes is less supplies and the game more-or-less becomes a survival horror game. That's it! I wonder if game testers are asked to play games in different ways (use only one weapon, don't use any magic, avoid this entire area, etc.) just to see what really makes a game. 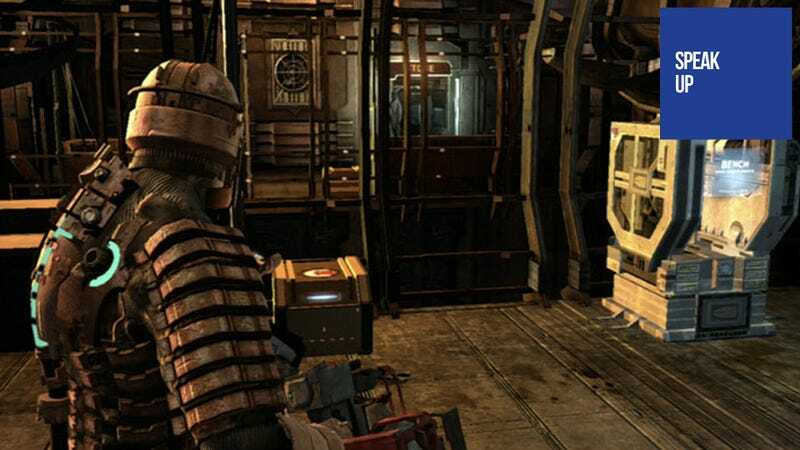 I believe Dead Space would be a dramatically different game if supplies were just less abundant.